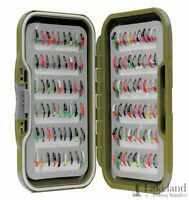 Details about 3 Red/Chart Eggstasy, Trout Eggs,Trout Blobs,Trout Flies, Comes Alive In Water. Will usually dispatch within same working day if paid before 04:00 BST (excludes weekends and holidays). Expected dispatch time may vary and is based on seller's order cut-off time.